Maybe he’s acting out because his agent dropped him on the Fourth of July. 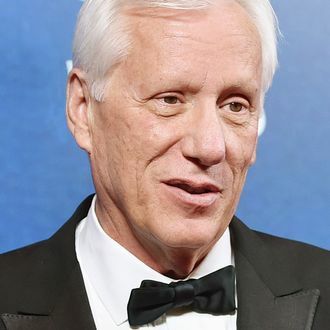 James Woods, who was accused of creepy, misogynistic behavior by Amber Tamblyn in an open letter last year, is now feeling the wrath of lawyer Michael Avenatti, who’s threatening to expose his alleged history of #MeToo-related problems. (Most prominently, Avenatti represented Stormy Daniels in her lawsuit against President Trump.) This threat came following a tweet Woods wrote about Avenatti, which featured a screenshot of the lawyer protesting Trump in London.